In a surprise announcement, Uganda has offered refuge to Libya’s embattled leader, Mu’ammar Qaddafi (AP, March 30). The offer came at the same time as Ugandan government institutions began seizing Libyan assets and investments in Uganda. Libya has extensive investments in Uganda through its Libyan African Investment Portfolio. Among those assets seized are Uganda Telecom (69% Libyan ownership) the Tropical Bank (99.7% Libyan ownership) and the four-star Lake Victoria Hotel (99% Libyan ownership) (New Vision [Kampala], March 29; Daily Monitor [Kampala], March 1). Total Libyan investment in Uganda is estimated at $375 million. 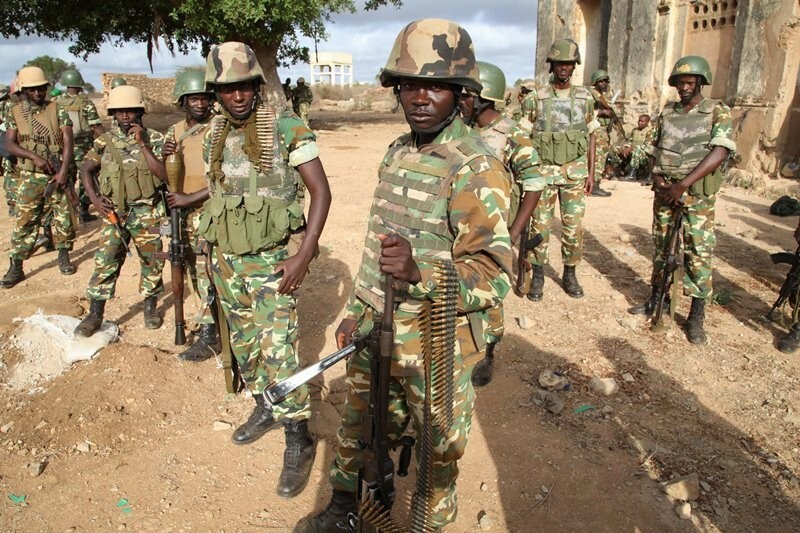 Libya is also a major source of funds for the African Union and the Ugandan-dominated African Union Mission in Somalia (AMISOM). Qaddafi’s most controversial involvement with Uganda came in 1979, when he sent 2,500 Libyan troops together with armor, rockets, artillery and air cover to support Ugandan dictator Idi Amin from an invasion by Ugandan dissidents supported by Tanzanian regulars. Only a year after Major General Idi Amin seized power in Uganda, Qaddafi had managed to persuade him to abandon his Israeli patrons in return for substantial cash donations and investment. The deployment was a military disaster. Far from saving Amin, the arrival of the Libyan troops was interpreted by Amin’s defenders (many of whom were Sudanese) as an opportunity to flee Kampala with looted goods as the Libyans provided cover against the encroaching anti-Amin forces. Many of the Libyans appear to have been told they were going to southern Libya for military exercises. Confusion reigned and the Libyan forces were shattered. Casualties were heavy as the survivors were taken prisoner by the invaders. 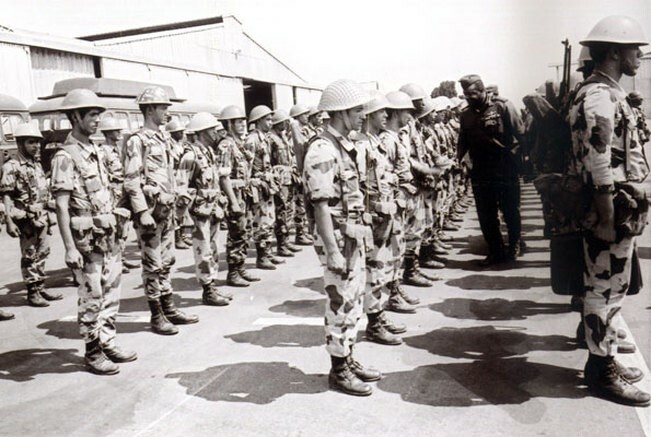 There were many reports of captured prisoners being executed while some luckier Libyan troops were eventually repatriated to Libya, where Idi Amin also sought refuge before moving on to permanent exile in Saudi Arabia. Despite this military humiliation, Qaddafi continued to seek influence in Ugandan affairs, an agenda that was assisted by a 1981 encounter with future Ugandan president Yoweri Museveni, at that point still a guerrilla leader opposing the Ugandan government of Milton Obote (possibly an even worse leader than Idi Amin). Museveni had also fought with the Ugandan dissidents against Libyan troops in Kampala in 1979, though this did not initially pose a problem in the relationship between the two men. Qaddafi began supplying Museveni’s National Resistance Army (NRA) with supplies of badly needed arms and munitions, enabling Museveni’s triumph in 1986. 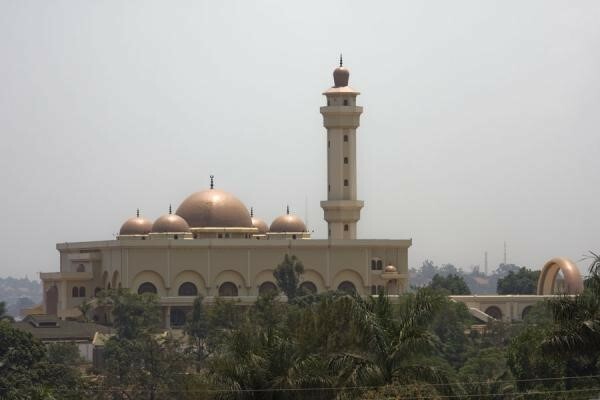 The skyline of Kampala is dominated by the massive Qaddafi National Mosque, an elaborate building funded by the Libyan leader, who incensed Uganda’s Christian majority at the 2008 opening by claiming the Bible was a forgery and inviting Ugandan Christians to visit Mecca. Qaddafi was also scheduled on the same trip to unveil a plaque near the Tanzanian border honoring the Libyan soldiers who intervened on Amin’s side in 1979. However, the event was cancelled and Qaddafi made a hasty return to Tripoli after a prominent Ugandan Muslim, Shaykh Obeid Kamulegeya, allegedly informed Qaddafi that Museveni’s faction of fighters had been responsible for the slaughter of captured Libyan troops at a Roman Catholic convent outside of Kampala (Uganda Record, December 21, 2010). A year later there were reports that Ugandan intelligence had discovered Libya had sent funds to support anti-Museveni riots in September 2009 (Kampala FM, September 20, 2009). Some light on Museveni’s views of Qaddafi was shed by U.S. embassy cables exposed by Wikileaks. In 2007, Museveni complained to Africa Bureau Assistant Secretary Jendayi Frazer that Qaddafi was using bribery and intimidation to persuade West African states to sign on to a union of African states under Qaddafi’s leadership (cable of September 14, 2007, carried by the Guardian, December 7, 2010). Frazer again met with Museveni several months after Qaddafi’s abrupt departure from Uganda. While the Ugandan leader continued to be critical of Qaddafi’s efforts to create a “United States of Africa,” Museveni now confided he was afraid Qaddafi would try to kill him by attacking his plane in international airspace (cable of June 18, 2008, carried by the Guardian, December 7, 2010). • Backing Idi Amin under the mistaken assessment that Uganda was a “Muslim country” where Amin and other Muslims were oppressed by Christians. • Qaddafi’s insistence on creating a “United States of Africa” under his own leadership. • Proclaiming himself an African “King of Kings” by bypassing legitimate African political leaders to appeal directly to traditional African leaders such as local kings or chiefs, most of whom now perform only ceremonial roles in Africa. • Ignoring the plight of South Sudan to support the Arab leadership of Sudanese President Omar al-Bashir, now wanted on war crimes charges laid by the International Criminal Court. • Failing to distance himself from terrorism and the use of indiscriminate violence. This article first appeared in the March 31, 2011 issue of the Jamestown Foundation’s Terrorism Monitor. For the first time in his 11 years as ruler of Syria, President Bashar al-Assad has deployed elements of the Syrian military against a domestic target – the protesters that had taken to the streets of the Syrian port of Latakia to demand political and economic reforms (Reuters, March 28). The insertion of the military on March 27 came as official sources reported the death of 12 individuals in Latakia on March 26, including demonstrators and security officials (Syrian Arab News Agency [SANA], March 27). Though the region surrounding Latakia is dominated by members of the ruling Alawite faith, the city itself (350 km northwest of Damascus) is a mix of Alawites, Sunni Muslims and Christians. Since a 1966 internal coup within the Ba’ath Party, Alawites have dominated Syrian politics despite being a national minority that many orthodox Muslims believe has only superficial connections to Islam. Alawites continue to dominate the highest ranks of the Syrian military and the intelligence services. Latakia was recently in the news as the port where two Iranian naval ships (the frigate Alvand and the supply ship Kharg) docked after passing through the Suez Canal. While in Latakia, Iranian Admiral Habibollah Sayyari and Syrian naval commander Lieutenant General Talib al-Barri signed an agreement of mutual naval cooperation (Voice of the Islamic Republic of Iran Radio 1, February 26). 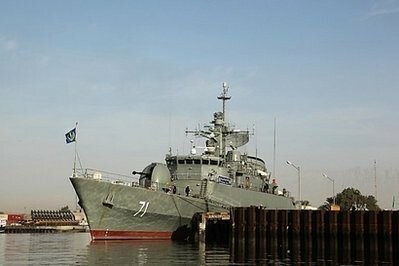 The small Syrian Navy consists of two frigates, at least ten missile attack craft and a host of smaller craft. Latakia is one of four ports used by the Syrian Navy. Syrian officials were incensed by remarks from Muslim Brother and well-known Islamic scholar Shaykh Yusuf al-Qaradawi, who told a Doha mosque congregation that Arab regimes such as Syria’s were failing to learn from each others’ mistakes, continuing repressive policies despite the “train of the Arab revolution” having arrived in Syria. Al-Qaradawi described Assad as “a prisoner of his corrupted entourage” and predicted that the Syrian army would play “a decisive role” in determining Syria’s future (Gulf Times, March 26). Assad’s media advisor responded to the shaykh’s charges by saying: “’According to all Koranic or faith logic, it is not up to a cleric to incite sedition; and this is not one of the tasks of men of religion at all” (al-Watan [Damascus], March 27). The Assad regime has taken extraordinary lengths to pin responsibility for the disturbances on a host of foreign sources rather than acknowledge discontent within Syria. 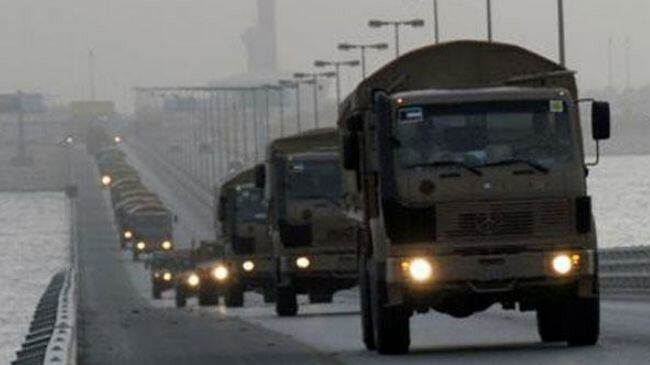 On March 11, Syrian security forces reported seizing a shipment of arms from Iraq that was crossing the border into Syria in a refrigerated truck (SANA, March 11). Iranian and Hezbollah sources have described an anti-Syrian conspiracy centered on the Tayyar al-Mustaqbal (Future Movement) led by former Lebanese Prime Minister Sa’ad Hariri. Syrian authorities tied the movement to the reported seizure of seven boats from Lebanon to Latakia with cargoes of weapons, money and narcotics. Hariri was also connected to Prince Bandar bin Sultan of Saudi Arabia, who was accused of “guiding the complex American and [Saudi] Arabian plan for creating unrest in Syria” (Fars News Agency, March 29). A Lebanese MP denied the allegations, noting the Future Movement did not even have weapons to defend itself (LBC, March 29). Syria’s Grand Mufti, Shaykh Ahmad Badreddin Hassoun, took to national TV on March 25 to confirm that external “instigation” is seeking to undermine the anti-Israel “resistance” (Day Press [Damascus], March 26). Israel’s Foreign Ministry in turn attempted to implicate Iran and Lebanon’s Hezbollah in the attacks on demonstrators by saying demonstrators heard some members of the security services speaking Farsi (Hezbollah members speak Arabic rather than Farsi) (Israeli Defense Force Radio, March 27; Jerusalem Post, March 28). Syrian officials also blamed the violence in Latakia on Palestinians from the al-Raml refugee camp outside the city. The allegations were denied by Ahmad Jibril, the leader of the Popular Front for the Liberation of Palestine – General Command (PFLP-GC), which runs the camp and is known for its loyalty to the Syrian regime. The Syrian claims were strongly criticized in the Jordanian press, which asked why Palestinian refugees would volunteer to shoot demonstrators who are their “kin and neighbors” (al-Dustur, March 28; al-Ra’y, March 28). A Syrian spokesperson noted that among those arrested in Latakia were one Egyptian, one Algerian and five Lebanese and pointed to a foreign conspiracy: “The only side happy with what is happening in Syria is Israel, and some members of [U.S.] Congress who are mobilizing against Syria” (al-Watan, March 27). Damascus has been organizing pro-government marches in which the participants stress “their rejection and condemnation of the organized foreign campaigns targeting Syria’s safety, stability and national unity” (SANA, March 26). In his first remarks on the unrest in Syria, President Assad declined on March 30 to repeal the 1963 emergency law with its wide powers for repression, a key demand of the protesters. Having identified the source of Syria’s unrest as a “foreign conspiracy,” the president’s speech was followed by hundreds of protesters taking to the streets of Latakia to chant “Freedom” (Reuters, March 30). The Syrian cabinet resigned en masse on March 29 as Facebook activists try to organize massive anti-government rallies for Friday, April 1. After decades of loyalty to Yemen’s President Ali Abdullah Saleh, Yemen’s best known and most controversial Islamic scholar has called for the regime’s downfall and the creation of an Islamic Caliphate in the southern Arabian Peninsula. 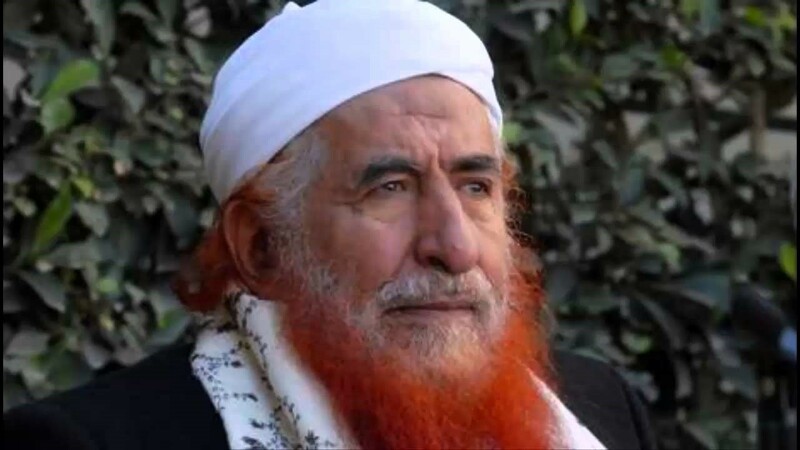 The defection of the influential Shaykh Abd al-Majid al-Zindani, whose name appears on the designated terrorist lists of the United States and the UN, is a major blow to the President’s attempts to rally support for his three-decade-old regime. Shaykh al-Zindani was born in a small village near the southern city of Ibb, somewhere between 1938 and 1942 (the date has never been clarified). He grew up in Ibb and Aden before leaving Yemen to pursue studies in pharmacology. Al-Zindani studied sciences at Cairo’s Ain Shams University before turning to Islamic studies. After returning to Yemen in 1966 he worked in religious activities in Saudi Arabia, returning to Yemen in 1970 to begin organizing the Yemeni Muslim Brotherhood based on his experience of Egypt’s Muslim Brotherhood while a student in Egypt. After meeting Osama bin Laden in Saudi Arabia, al-Zindani also became involved in recruiting and transporting Saudi and Yemeni recruits to join the 1980s anti-Soviet jihad in Afghanistan. Following the 1990 unification of Yemen, al-Zindani became a leading member of al-Tajammu al-Yemeni li’l-Islah (Yemeni Congregation for Reform, commonly known as al-Islah). As led by Shaykh Abdullah al-Ahmar (d. 2007), chief of the Hashid tribal confederation, al-Islah came to combine tribal groups along with former GPC members, local Salafists and members of the Muslim Brotherhood in a single political party with a broad commitment to Islamizing Yemen, but without getting into the kind of details that might divide the alliance. Al-Zindani served as president of the party’s Central Shura Council from 1995 to 2007, when he took a seat on the party’s Supreme Board. An Islah Party member who graduated from Iman University said the institution was nothing more than “a large school of Quranic memorization” that does not even offer courses in Islamic philosophy and Arabic literature. According to the former student, all those attending the university are closely observed while having only limited access to censored internet and television facilities. By the time of graduation, students leave the campus believing “all women are corrupt and men are dissolute” (Yemen Observer, May 5, 2010). A number of reputed graduates of al-Iman University are reported to have taken part in political violence in Yemen, including Ali Ahmad al-Jarallah, the 2002 assassin of Jarallah Omar, the deputy secretary general of the Yemen Socialist Party (YSP). 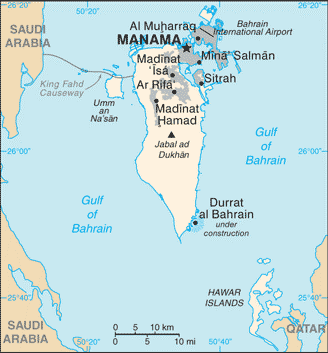 Al-Zindani denied that the assassin had any connection to al-Iman, though the lawyer for Jarallah Omar’s family sought to have the case reopened to question several new suspects, including al-Zindani (Yemen Observer, October 16, 2004; AP, July 3, 2004). The United States made al-Zindani a designated “global terrorist” in February, 2004, accusing the shaykh of acting as a spiritual leader for al-Qaeda and fundraising for the organization through his Charitable Society for Social Welfare (CSSW). Anwar al-Awlaki served as vice-president of the CSSW from 1996 to 1999. The shaykh was also placed under sanctions by the UN Security Council. Al-Zindani responded by demanding that the government of Yemen raise his terrorist designation at the UN Security Council (Yemen held one of the rotating seats on the council at the time) while denouncing his U.S. designation: “The government [of Yemen] has already demanded that the United States administration bring its evidence against me… Their case against me is as strong as it was against Iraq when they accused it of developing weapons of mass destruction” (Yemen Observer, October 16, 2004). As President Saleh defended al-Zindani and did his best to ignore the sanctions against the shaykh, al-Zindani made a temporary but strategic retreat from the global arena to increase his focus on domestic politics. The shaykh suggested his terrorist designation was the result of accusations from the ruling GPC (though not Saleh) and his own opposition to American foreign policy: “Is it not my right to object? Americans stand in front of the White House with banners protesting the government policy of the White House and it is their right. I am a citizen of whom these policies directly affect me, my nation and religion. Am I not allowed to say what is wrong? Where are human rights? We criticize the American policy that is 100% biased towards Zionism” (Al-Sharq al-Awsat, June 23, 2004). Recently, al-Zindani has tried to distance himself from al-Qaeda, saying he has no knowledge of their activities in Yemen. He has similarly said he has no influence over the American jihadi preacher Anwar al-Awlaki, who has made his ancestral home of Yemen a base for pro-al-Qaeda propaganda activities: “I was never a direct teacher for Anwar al-Awlaki” (BBC, January 11, 2010). As the head of a committee of Islamic scholars, al-Zindani condemned the terrorism of al-Qaeda in the Arabian Peninsula (AQAP) in a November 2010 meeting with President Saleh. Al-Zindani’s committee called on Yemen’s Islamic scholars to focus on non-violence and to urge Yemen’s Muslims to seek moderation rather than extremism (Yemen Observer, November 4, 2010). Regardless of al-Zindani’s personal sympathies, there is little evidence that he is in any way connected to the ongoing operations or activities of al-Qaeda, though of course this might have something to do with the absence of investigations in Yemen into his ties to the terrorist group. Besides his religious and political prominence in Yemen, al-Zindani has built a reputation based on his advocacy of al-I’jiz al-ilmi fi al-Quran wa’l-Sunnah, “the scientific wonders of the Quran and Sunnah.” Part of the Islamic revival, this intellectual trend involves finding proof of prior knowledge of modern scientific discoveries in the words of the Quran and Sunnah. With funding from the Saudi government’s Muslim World League, al-Zindani founded the Commission on Scientific Signs in the Quran and Sunnah in 1984, serving as the group’s secretary-general until 1995. In December 2006, al-Zindani announced he had developed “Eajaz-3,” an herbal cure for HIV/AIDS that had no side effects while eliminating the disease in men, women and even fetuses (Yemen Observer, December 19, 2006). However, the head of the Clinical Immunology Services at Jeddah’s King Abdulaziz University refuted al-Zindani’s claims after inspecting provided blood samples, even going so far as to say if he was the Minister of Health, he would throw al-Zindani in jail (Yemen Observer, November 19, 2009; Yemen Times, April 4, 2008) Nonetheless, al-Zindani went on to claim that he and his medical team of researchers from all over the Arab world had also discovered treatments for Hepatitis B, Hepatitis C and Diabetes (Saba, April 12, 2008). Al-Zindani enjoyed great influence in Yemen when his Islah Party became the junior partner in a coalition led by the ruling General People’s Congress (GPC) in 1990. The shaykh even became a personal adviser to President Saleh in this period. This situation lasted until the alliance broke up in 1997 when Saleh’s GPC refused to introduce democratic reforms. Though al-Islah was nominally part of the opposition from this point, al-Ahmar and al-Zindani continued to maintain close connections to President Saleh. When southern Yemen attempted to re-establish its independence in 1994, al-Zindani was able to use his contacts with Yemeni veterans of the Afghan jihad to raise a force of experienced fighters ready to combat a socialist southern Yemen on behalf of President Saleh and the regime in Sana’a. Taking advantage of a growing number of vigilante incidents involving individuals enforcing Islamic law in several cities, al-Zindani created the Authority for Protecting Virtue and Fighting Vice (the Virtue Councils) in 2009 with the endorsement of President Saleh (Yemen Times, July 17, 2008). The councils were designed to identify infractions of Islamic law and report them to Yemeni police for enforcement. Al-Zindani placed himself at the center of the “Prophet Muhammad cartoons” controversy in Yemen by collecting funds to pursue lawsuits against newspapers and editors who republished the cartoons originally carried by Copenhagen’s Jyllands-Posten. However, the shaykh ran into solid opposition from Yemen’s journalists and was embarrassed by revelations that the cartoons had been copied and distributed at Iman University (NewsYemen, March 3, 2006). As leader of the Yemeni Religious Scholars Society, al-Zindani played an important role in coordinating the scholars with the political opposition coalition, the Joint Meeting Parties (JMP), in an effort to form a government of national unity that would make changes to the constitution, release political prisoners and bring an end to the cycle of protests across Yemen (NewsYemen, February 28). Apparently rattled by the continuing demonstrations and the defection of al-Zindani and other former prominent members of the regime, President Saleh declared his government was the victim of a plot created in Tel Aviv under American supervision (Day Press [Damascus], March 2). When word of Saleh’s remarks reached Washington he was compelled to quickly issue an apology. In a lengthy interview with a local daily, American ambassador Gerald Feierstein said the United States would like to see “free and fair” elections in Yemen, but not if a party like Hamas won. More specifically, Feierstein warned against the election of al-Zindani: “Abdul Majid al-Zindani, as you know, is on the terrorism list both of the United States and the United Nations, so we would have a problem if he were elected President, absolutely… Zindani is on the terrorism list and therefore we would have a problem with him taking any kind of position in the government (Yemen Observer, March 14). Following al-Zindani’s break with Saleh, the government began a media campaign against the cleric, suddenly reminding one and all that U.S. Ambassador Feierstein had stated al-Zindani was still considered a wanted terrorist by the United States and the UN (Yemen Times, March 13). By mid-March, al-Zindani was reported to have left Sana’a for his home village of Arhab, just north of the capital, where he could count on the support of several hundred armed militants to defend him from government retribution (Marebpress.net, March 14). Traditionally protected by the president, Saleh has always appeared at the periphery of religious/political violence rather than at its center. Iman University operates with minimal supervision and the shaykh has always enjoyed wide access to all forms of media in Yemen, making him a popular figure in many parts of Yemen. Sanctions have never been applied to al-Zindani within Yemen and the very idea that he might be the subject of an investigation has seemed absurd until now. In reality, al-Zindani has made a bold decision to throw off the cloak of immunity offered by President Saleh, one that has served the shaykh well for many years. Al-Zindani’s choice might be regarded as an insider’s calculated assessment of President Saleh’s chances of political survival. However, if the shaykh is serious about establishing a Caliphate in Yemen, it may also be the beginning of a play for power. Al-Zindani later denied Lindh attended Iman University – see al-Arabiya, August 4, 2004. This article first appeared in the March 31, 2011 issue of the Militant Leadership Monitor. Afghanistan’s Taliban movement has responded to the Western intervention in the Libyan rebellion with predictable anger, but declined to declare their support for either the loyalist or rebel factions in the conflict (Ansar1.info, March 20). The statement from the “Islamic Emirate of Afghanistan” described the intervention as a “politically-motivated and uncalled for” adventure that would harm Libya and the greater Islamic community. Without making reference to either Qaddafi or the rebels, the Taliban simply expressed “pity that the situation in Libya evolved to the extent that paved the way for anti-Islamic forces to intervene.” The Taliban believe the intervention is intended to weaken Libya through a war of attrition before seizing its oil reserves in a direct invasion. 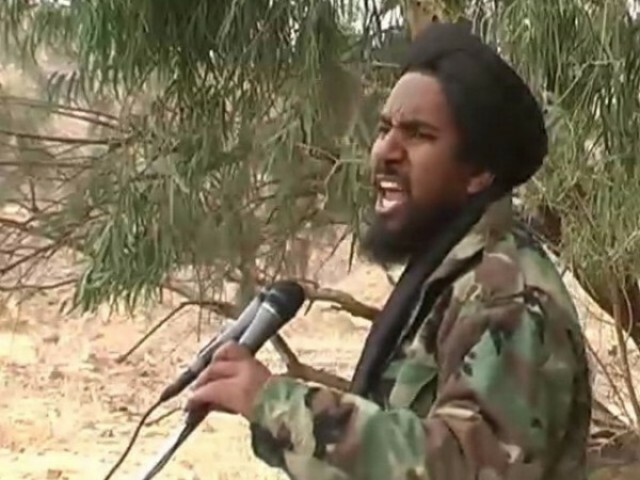 The movement’s recommendations are somewhat ambiguous; the Taliban suggests that the Libyan people “fulfill their Islamic and national duty” so that “internal and external enemies” cannot use them as “scapegoats for their warmongering policy.” The ummah [Islamic community] and rulers of the Islamic world should not remain neutral, but should play a role “in line with the interests of Islam,” which will enable Libya to evade “the tentacles of foreign colonialism.” The statement appears to reflect the Taliban’s reluctance to issue a statement supporting either Qaddafi, whose “Green Book” ideology is abhorrent to most Islamists, or the largely secular rebel movement. Neither camp can be described as sympathetic to the Islamists, who have played a relatively insignificant role in the rebellion. A recent article in the Taliban’s al-Somood magazine entitled “The Islamic Emirate of Afghanistan: Combating Colonialism, Between Yesterday and Today” compared the Russian occupation of Afghanistan to that of the United States: “To us there is no difference between the Russians and the Americans. Each of them has occupied our country and shed our blood, destroyed our civilization, corrupted our culture and our religion… If yesterday, Russia described the battalions of liberation and jihad and all the mujahideen as evil, America… likewise describes its unjust and evil occupation as fighting terrorism, its intervention in other countries’ affairs as building civilization and restoring women’s rights, its obliteration of the economy as opium eradication and the sabotage of minds and ideas as education and culture” (al-Somood 56, March 10). Speech delivered to the Jamestown Foundation Conference – “The Impact of Arab Uprisings on Regional Stability in the Middle East and North Africa,” Carnegie Endowment for International Peace, Washington D.C, March 18, 2011. Nostradamus himself could not have foretold the wave of political change that has been unleashed on the Arab world, all sparked by the self-immolation of a single Tunisian sidewalk vendor who could not find any other way of expressing his indignation at a corrupt and authoritarian system. Revolutions are dangerous creatures that can unleash all kinds of unpredictable social forces that can take a revolution a long way from where it started. 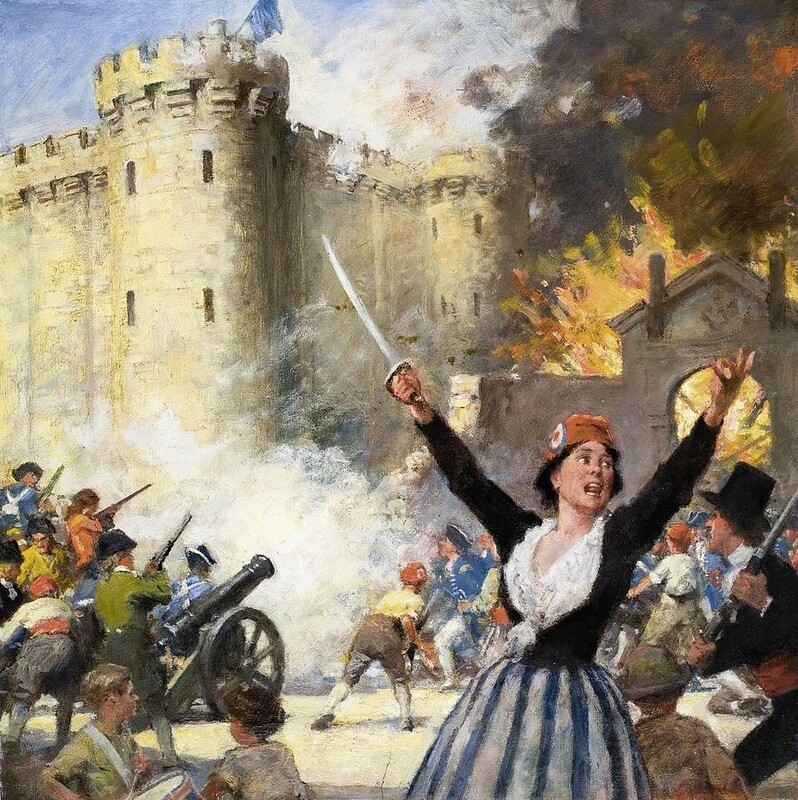 The French Revolution of 1789, which both inspired and terrified Europe, began with the journées, days of mass action much like the “days of anger” we see today in the Arab world. Though the king and queen were led to their death, it was not long after that leading revolutionaries such as Robespierre had their own meetings with Madame Guillotine. Liberty, Fraternity and Equality became a mere slogan as Napoleon Bonaparte, the revolution’s leading general, restored authoritarianism to France and directing the slaughter of a generation of young men in pursuit of imperial conquest. No charismatic leader emerged along the lines of a Bolivar, Garibaldi, Castro or even Washington. The Results of the 1848 Revolutions? In France, the Second Republic was soon replaced by the Second Empire of Louis-Napoleon. 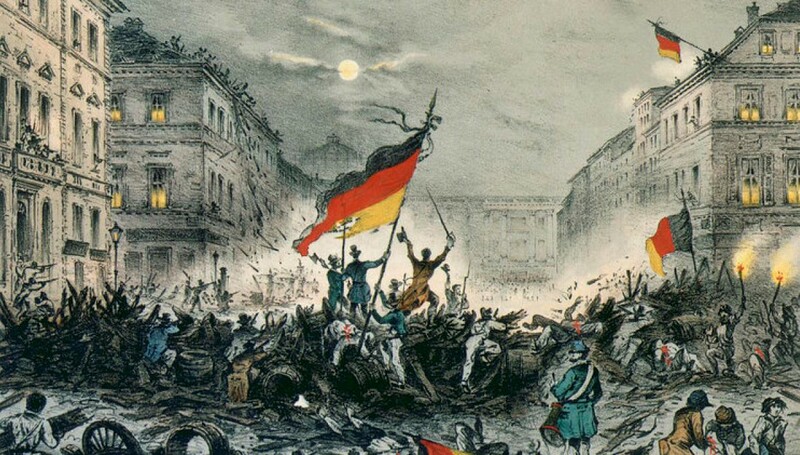 In the end, all of the national revolts failed, but they laid the foundation and provided the inspiration for later revolts such as the Paris Commune of 1871 and the Russian Revolution of 1917. Most importantly, they signaled that the end of absolute monarchies was in sight. In this sense, even failed revolutions can have an enormous impact on political developments decades later. It has been suggested in some quarters that the military weakness of Libya’s rebels can be overcome with supplies of modern weapons. It must be noted, though, that every influx of arms into the Sahel/Sahara region in the last century has been followed by years of violence. It was an influx of arms that contributed to the breakdown of order in Darfur that eventually resulted in tens of thousands of dead. Darfur used a centuries old inter-tribal resolution system usually involving compensation in cash or animals to deal with incidents of violence such as murder. However, this system broke down when the introduction of automatic weapons allowed the slaughter of dozens of people at a time by a single individual. Traditional methods of maintaining peace and security were simply overwhelmed by advances in killing technology. Arms may be the solution to Qaddafi, but they will not bring stability to North Africa. Those advocating the shipment of modern arms to Libya’s rebels speak of controls over whose hands they wind up in. This, however, is wishful thinking. Once introduced, arms are sold, abandoned, lost, stolen, surrendered, or given away. Reports that anti-aircraft missiles taken from the armories of eastern Libya have already found their way to the hands of al-Qaeda in the Islamic Maghreb should give pause to those backing a military solution to the Libyan insurrection. 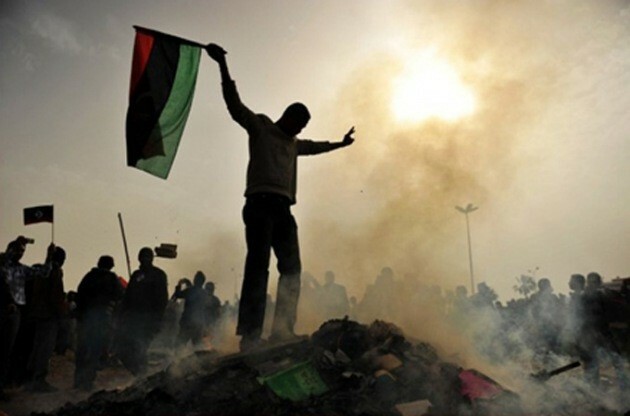 Libya – Key to African Security or African Chaos? The half-hearted endorsement of a no fly zone by the Arab League was taken by NATO as a green light for attacks on Qaddafi’s forces. In reality, with the exception of wealthy but distant Qatar, most of the Arab League has kept a committed distance from the conflict. Egypt, with its own internal crisis that has largely disappeared from the news, appears unable or unwilling to exert influence on the events in Libya. To the west, there are unverified rumors that Algeria’s own military-based regime is providing arms and aid to Qaddafi. Algeria has no desire to see the Arab revolution wash up on the shores of Tripoli, and giving the Libyan rebels a bloody nose would go a long way to discouraging like-minded dissidents in Algeria. In neighboring Chad and Sudan two other political survivors, General Idriss Deby and Field Marshal Omar al-Bashir, will not be hasty in counting out Qaddafi. Both nations have deep if turbulent ties with Libya, which has fluctuated between assisting their development and interfering in their internal affairs. In the meantime both are keeping their distance, but if Qaddafi falls it is likely that both will attempt to exert their own influence on the formation of a new regime. The fall of Tripoli would not necessarily mean the end of Qaddafi or his regime. The Libyan leader would have the option of retiring on military bases in the desert where he enjoys solid support. With access to fighters from neighboring countries, Qaddafi or his successors could continue low-scale but debilitating attacks on Libya’s oil infrastructure that would effectively prevent any new Libyan government from getting off the ground without substantial foreign aid and assistance. It would not be difficult to raise a tribal force opposed to what would be seen as a Benghazi-based government intent on depriving the western and southern tribes of power, influence and funds. Such a conflict could go on for years, with predictable effects on oil prices. The rebels do not have the means, and possibly not even the inclination, to distribute oil revenues throughout the larger Libyan society. Should Qaddafi feel he is losing his grip on Libya it is possible that he could turn to asymmetrical warfare by once again sponsoring international terrorism, especially with strikes against the Western nations leading the attack on his regime. We also have no reason to suppose that a rump government in Benghazi would be a force for restoring security in the region. The rebels lack a trained security force or any kind of administration with a common goal other than the removal of Mu’ammar Qaddafi. The question here is not whether al-Qaeda will want to take advantage of instability in North Africa, but whether it can operate in any meaningful way. Egypt is the historical crossroads of the world and as such it is an appealing theater of operations for al-Qaeda, which has ideological roots there through the works of Ibn at-Taymiyya and Sayid Qutb. Al-Qaeda could certainly attempt to penetrate Egypt and resume operations there, a course that would definitely appeal to Ayman al-Zawahiri and the other Egyptians in exile that form much of core al-Qaeda. However, al-Qaeda does not appear to have any active cells in Egypt, or even many sympathizers. There is little appetite for a return to the dirty backstreet war between Islamist extremists and the regime in the 1990s. More importantly, most Egyptians recognize that instability equals poverty, that terrorism isolates Egypt from the international community, depriving them of markets and important sources of foreign currency. Al-Qaeda still does not present a political alternative developed beyond slogans promising the establishment of a Caliphate and the implementation of Shari’a law. With insufficient agricultural production, a rapidly increasing population, massive unemployment and underemployment and threats to its water supply that pose dangers to cultivation and power supplies, Egypt is in need of more thoughtful strategies than those supplied by the extremists. There are many sincere Muslims in the region who desire Shari’a, but they would also be the first to question the wisdom of leaving this in the hands of the band of kidnappers, murderers and drug traffickers that make up al-Qaeda in North Africa. Opportunities will nevertheless be presented for al-Qaeda in the Islamic Maghreb from the conflicts that will inevitably follow revolution. Attention and resources will be diverted from their activities, while arms and alliances will become available to strengthen their position. Cobbled together from scores of ethnic and tribal groups speaking hundreds of different languages, Sudan, unsurprisingly, has been a center of dissent, rebellion and outright civil war from its first day of independence. While popular revolts may be something new along the Mediterranean coast, Sudan’s people have already overthrown two dictators (Ibrahim Abboud, 1964; Ja’afar Nimeiri, 1984). With the conflict in Darfur continuing despite a decline in foreign or media interest, and a number of unresolved issues threatening the peaceful separation of the south from the north, Sudan is now faced with the possibility of further disruptions to security arriving from its northern neighbors of Egypt and Libya. Qaddafi’s Libya has actually played a vital role in negotiating a peace settlement in Darfur and it is uncertain who would step up to fill the void. A small protest movement in Khartoum has been firmly repressed so far, but there is enormous dissatisfaction in the North with President Omar al-Bashir, who has failed to keep the country together and has lost most of its oil revenues to the new southern state. In the current situation there is the possibility of both North and South Sudan turning into failed states with enormous consequences for a large part of Africa. The Tuareg – What Will They Do After Libya? The collapse of the Qaddafi regime will have an enormous impact on the states of the Sahara and Sahel, including Chad, Mali and Niger. Libya is an integral part of the economies of many of these states, both through financial donations and the employment of hundreds of thousands of migrant workers from these countries. Qaddafi regards this region as the Libyan hinterland and has played in important if sometimes destabilizing role in the area, particularly through his recruitment and sponsorship of the Tuareg peoples, whose ancient homeland has been divided between half a dozen nations in the post-colonial era. Having long acted as a kind of sponsor for the activities of Tuareg fighters battling regimes that regard the Tuareg presence as inconvenient and undesirable, Qaddafi is now arming Tuareg warriors who are rallying to his cause. Regardless of whether Qaddafi wins or loses, there is immense concern in these nations that the Tuareg fighters will return to their home states to initiate a new round of rebellions in poorly secured but oil and uranium-rich regions. What Direction for Egyptian Security? The Egyptian Revolution is not yet history. In fact, we may only have witnessed the first phase of a process that could continue for years or even decades. It is unlikely that Egypt’s officer corps, unquestionably part of Egypt’s elite, is willing to oversee the transfer of power from that same well-entrenched elite to the masses. Indeed, it would be unreasonable to think that this would be their first instinct. In Egypt, political revolution is also social revolution, and these things don’t usually happen overnight. Egypt’s internal security services collapsed in the wake of the Egyptian Revolution and are in the difficult process of being rebuilt and restructured with a new mandate that promises to pursue genuine security threats rather than internal political opposition. While there were many cases of government violence against demonstrators, there were remarkably few incidents of retaliatory violence against members of the security services during the revolution. Egypt does not have a taste for violent revolution. Such matters are traditionally handled by the nation’s elite, now formed from the military leadership. The question here is how effective will a restructured security service devoted, as promised, to foreign rather than internal threats will be in controlling extremists. Egypt managed to destroy its radical Islamist movement by deploying an Interior Ministry force three times the size of the military, aided by legions of informers, both paid and coerced. Securing Egypt from Islamist extremism has come at a considerable cost to the liberty of most Egyptians, a cost no longer considered acceptable. The question, however, is whether a lighter and less-intrusive security presence still be as effective in eliminating Islamist extremism. Qaddafi’s Libya has always been one of the major financial backers of the African Union. These donations have stopped now with significant consequences for the African Union Mission in Somalia, which already suffers from underfunding. There is no guarantee a new Libyan regime would renew such support, nor is it likely another African state would be able to step in to fill the shortfall. Sub-Saharan countries have been effectively excluded from partaking in the resolution of the Libyan conflict, even though they will inevitably be affected by what happens in Libya and, moreover, have close ties and influence with Libya. The African Union negotiations were treated as an unimportant sideshow by the nations busy taking out Libya’s armor and air defenses. At some point the West will have to shrug off a self-assumed “White Man’s Burden” that has become outrageously expensive and deeply destabilizing. 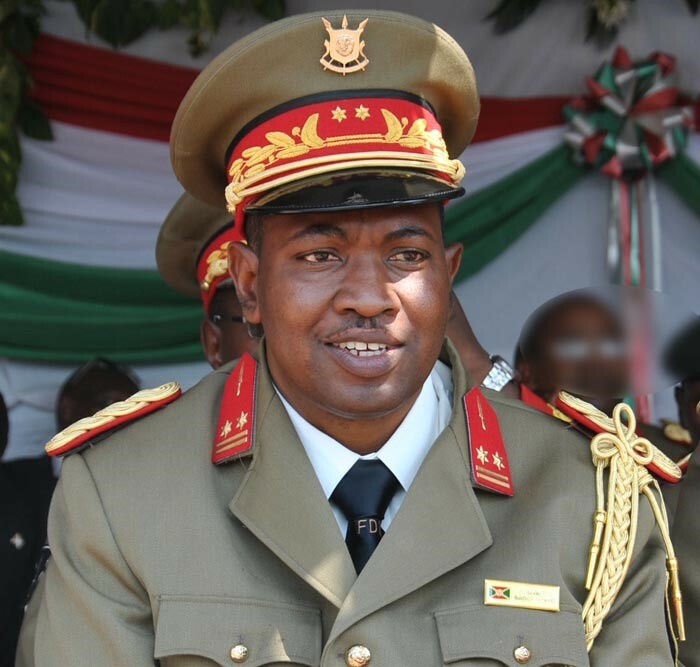 While it is true that African Union diplomatic and peacekeeping missions have an uneven record, it is also true that African troops aren’t going to get any better at this kind of thing by sitting in their barracks. More cooperative efforts between the West and Africa that acknowledge the interests of those actually living in the continent and the limitations of external parties would do more to stabilize North Africa than a hail of bombs and rockets. In short, revolution is not an easy thing – most fail, and it would be presumptuous to assume that revolts in Egypt or Libya or the Middle East will lead to inevitable success, regardless of how this success is interpreted. However, whether successful or not, their repercussions can rarely be tamed, making them recipes for insecurity. At best they can be managed, with a bit of luck. At worst, efforts to contain or reverse social and political transformation are only capping the volcano – if it doesn’t erupt there, it will erupt somewhere else, at a time of its own choosing. A Libyan al-Qaeda spokesman has released a 31-minute video claiming al-Qaeda created the conditions that allowed for revolutions in Tunisia and Egypt and inspired the ongoing rebellion in Libya (Ansar1.info, March 12). Produced by al-Sahab Media Productions, the video entitled “To Our People in Libya” features leading jihad ideologue Abu Yahya al-Libi (a.k.a. Muhammad Hassan Abu Bakr or Hassan Qayid). Al-Libi was captured by NATO forces in Afghanistan in 2002 and detained without trial at Bagram Prison until he escaped in 2005. Since then, he is believed to be living in the tribal regions of northwest Pakistan where he has become an important spokesman for al-Qaeda due to his training in Islamic scholarship, producing numerous videotaped messages. Al-Libi’s brother, Abdulwahab Muhammad Kayid, was one of 110 former members of the Libyan Islamic Fighting Group (LIFG) freed by Qaddafi’s regime on February 16 (Guardian, March 11). 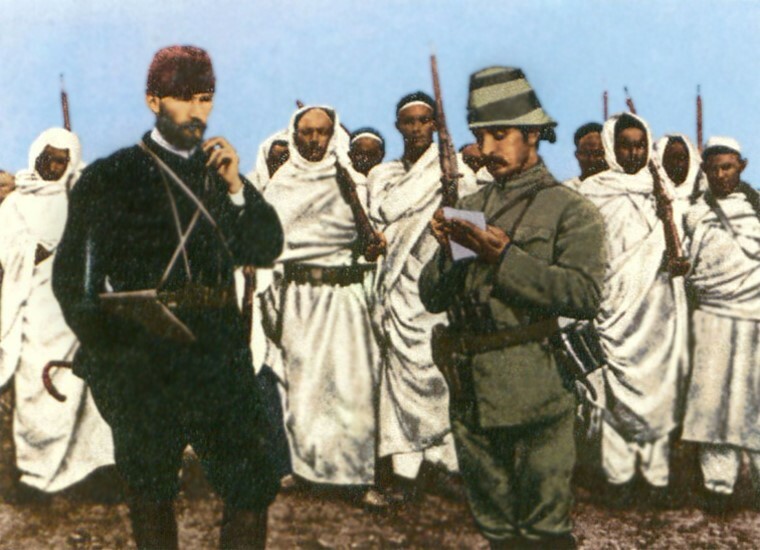 Al-Libi called on Libyans to follow the example of Sidi Omar al-Mukhtar, the Libyan national hero who led the resistance against Italian occupation in the 1920s. Al-Libi used the term “Shaykh of the Martyrs” to refer to al-Mukhtar, whose legacy has been claimed by both Qaddafi and the Libyan rebels. With rebel forces steadily falling back on their stronghold of Benghazi under Libyan military pressure, al-Libi warned of the price that would accompany failure: “Retreating will mean decades of harsher oppression and greater injustices than what you have endured [so far].” He also warned the rebels against surrendering their weapons to loyalist forces, suggesting instead that they build stockpiles of weapons for future use. The Libyan militant mocked U.S. expressions of sympathy for the rebels, saying that al-Qaeda had shattered the “barrier of fear” that had restrained Muslims from rising against their governments: “There is no dignity without cost, and no dignity without sacrifice.” Though Qaddafi has claimed numerous times that the Libyan revolt is led by al-Qaeda operatives, there is no evidence so far that this is the case. This article first appeared in the March 17, 2011 issue of the Jamestown Foundation’s Terrorism Monitor. Ankara continues to forge an independent identity for its foreign policy by rejecting calls from some NATO partners for military intervention in the Libyan rebellion. Of all the NATO nations, Turkey has the closest historical and economic ties to the North African nation, a relationship that dates back to the period of Ottoman rule in Libya (1551-1912). Turkey has adopted what it describes as a “principled approach” to the crisis in Libya, though it is certain that political chaos and uncertainty do little to further Turkey’s economic relationship with Libya, which now includes more than $15 billion worth of projects in Libya employing 25,000 Turkish workers and bilateral trade worth $2.4 billion in 2010. Ankara’s measured response to the Libyan insurrection was described by Foreign Ministry deputy undersecretary Selim Yenel: “Turkish foreign policy is based on the rule of law, justice, human rights and universal values. At the same time, we have concerns for the large Turkish expat community in Libya. We have to be very careful in our approach and not risk any reprisals against our citizens or the harming of our interests” (Today’s Zaman, March 6). Though some 20,000 individuals (including non-Turks) were evacuated from Libya by Turkish ships and aircraft, there are believed to be several thousand Turkish nationals who have chosen to remain in the country. While Turkey was the first country to call for Egyptian president Hosni Mubarak to step down, it has not taken this approach in Libya. Unlike other NATO countries, Turkey has maintained official and even informal contacts with the Libyan regime during the rebellion, with Prime Minister Erdogan disclosing he had called Qaddafi personally to discuss the crisis and to urge the Libyan ruler to appoint a political figure with popular support to seek a solution (al-Arabiya, March 14). Turkey did not freeze Libyan assets or make any change in its diplomatic representation. Ankara has, however, indicated that it would respect any decisions regarding sanctions or military intervention that are passed by the UN Security Council. Libyan dissident Abdul Hafiz Ghoga, the deputy leader of the rebel National Libyan Council, has demanded that Turkey give the rebel group official recognition and direct support, but without success (Journal of the Turkish Weekly, March 12). Ankara has repeatedly expressed concerns that foreign military intervention, particularly any involving the United States or former colonial powers, would run the immediate risk of delegitimizing not only the Libyan rebellion, but any further revolts against autocratic rule in the Arab world. Said Erdogan: “”We need to give the Libyan people permission to chart their own course” (Reuters, March 14). There is also uncertainty regarding what kind of administration or regime might follow the expulsion of Qaddafi, recognizing the possibility that a rebel victory might be exploited by other forces, including the radical Islamist movement. Turkey has pointed out that NATO’s mandate does not cover events occurring in Libya. As Prime Minister Erdogan bluntly told a gathering in Hanover, Germany: “What has NATO got to do with Libya? NATO’s intervention in Libya is out of the question. We are against such a thing” (Today’s Zaman, March 6). Turkish President Abdullah Gul later questioned whether military intervention was even desired by the rebels, who used the slogan “Libyans can do it alone!” in the early phases of the rebellion: “A direct NATO intervention in Libya is out of the question… The people, government and opposition in Libya do not want a foreign force in the country” (AFP, March 14). Turkey has also pointed out that there are alternative means of helping Libyans. According to the Foreign Minister, Ahmet Davutoglu: “We are not abandoning Libya. We are taking a temporary measure. We will take every step necessary in the humanitarian aid of the Libyan people” (Anatolia, March 12). Turkey joined with the United Arab Emirates to provide the first humanitarian aid shipment to Libya since the crisis began, sending a Turkish naval frigate to accompany two ships carrying 388 tons of food, 32 tons of medicine, water, portable shelters, mobile ovens and a Turkish Red Crescent team (Hurriyet, March 13; Gulf News, March 13). The Turkish foreign minister noted: “This humanitarian assistance is not aimed at a specific group or region, but at the entire Libyan nation. We aim, circumstances permitting, to have our assistance continue to flow into Libya and reach regions in need throughout the country” (Today’s Zaman, March 14). The Turkish Prime Minister has been heavily criticized in parliament and the press for accepting the Qaddafi International Prize for Human Rights in a ceremony last November (Hurriyet, February 21; AFP, November 26, 2010). Critics within Turkey have also complained the government’s response places Ankara too close to the Qaddafi regime, but there are signs that Turkey is ready to resume normal relations with Tripoli when the crisis ends. Turkish firm TAV Airports Holding has already announced it is preparing to return to Tripoli to resume work on the construction of two new terminal buildings at Tripoli Airport, part of Turkey’s substantial economic role in developing Libya (Hurriyet, March 17). With the fate of Libya in the balance, both sides in the struggle to determine its future are appealing to North Africa’s indigenous Tuareg warriors for military help. Libya’s own Tuareg population of roughly 50,000 has been simultaneously courted and deprived of its cultural and ethnic heritage by the Qaddafi government. The regime classes the non-Semitic Berber Tuareg as a branch of the Arab nation and describes its indigenous non-Semitic Tamasheq language as merely a dialect of Arabic. In the past, Tuareg fighters poured into northern Libya in 1912 to defend the Ottoman provinces from Italian invasion and later served in large numbers in Mu’ammar Qaddafi’s now defunct Islamic Legion. 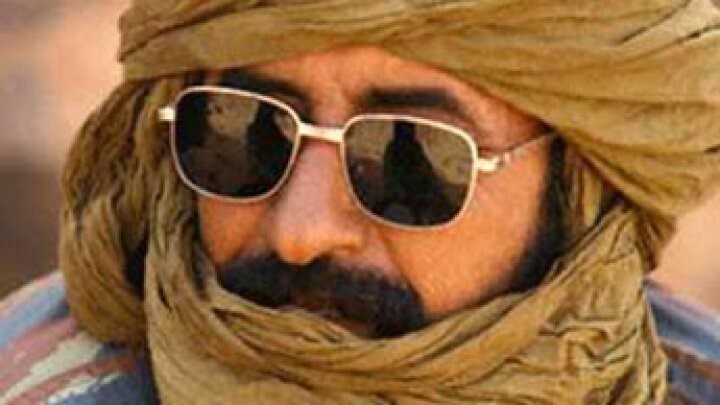 While reports and rumors of Qaddafi’s recruitment of the Tuareg continued to circulate, the newly-resigned Libyan consul-general to Mali has issued an appeal to the Tuareg to “align themselves with the people to fight Mu’ammar Qaddafi.” The former Libyan representative, Musa al-Kuni, slipped out of Mali on March 1 and announced his resignation when he reached Paris the same day. Himself a Tuareg, Musa claimed to speak on behalf of the Libyan Tuareg dwelling in the Sabha region of the Libyan interior. Sabha is home to a Libyan military base once connected to Qaddafi’s nuclear weapons development program. Musa’s brother is Ibrahim al-Kuni, one of North Africa’s foremost Arabic-language novelists. The former diplomat said that the Libyan Tuareg were suffering “an injustice” by being portrayed as “Qaddafi’s mercenaries” (AFP, March 8). 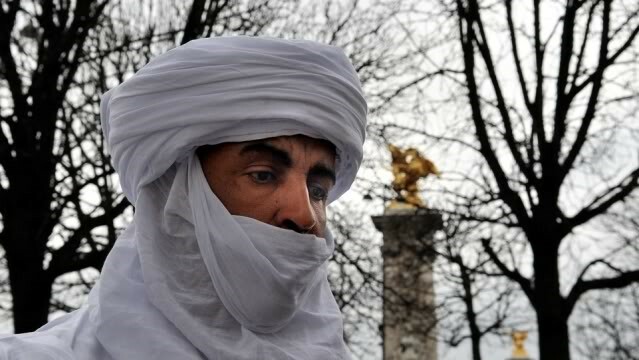 Musa al-Kuni’s appeal appeared to have little resonance across the border in Tuareg-dominated northern Mali, where elected Tuareg representatives described him as “an imposter and an opportunist” and declared “this gentleman represents only himself” (AFP, March 9). A Bamako daily suggested that former Tuareg rebel Ibrahim Ag Bahanga, who has close ties to the Libyan regime, plays a key role in recruiting and forwarding Tuareg fighters from across the Sahel and Sahara. The daily states Ag Bahanga has been spotted leading a convoy of 30 4×4 vehicles on their way to Libya via the Tuareg town of Djanet in Algeria from a point near the Algerian-Mauritanian border (Le Combat, Bamako, March 3; for Ibrahim Ag Bahanga, see Terrorism Focus, February 25, 2009; Terrorism Monitor Briefs, November 4, 2010; Militant Leadership Monitor, April 2, 2010). Ag Bahanga was last reported to have returned to Mali from self-exile in Libya in January to accept the Algiers Accord and accept reintegration, though it is not impossible that Ag Bahanga has since accepted a commission to raise Tuareg fighters for use in Libya (Info Matin [Bamako], January 18; L’Observateur [Bamako], January 17). Libya has backed Tuareg rebel movements in Niger and Mali and acted as an intermediary in negotiations, a method of operation that has not impressed Algeria, which has also inserted itself as a peace negotiator in the Tuareg rebellions. Elsewhere in Mali, representatives of the northern Seventh Region (Timbuktu) gathered to declare, “The representatives of the North Mali communities, signatory to this document, offer their unwavering support to the Guide of the Socialist People’s Libyan Arab Jamahiriya [i.e. Mu’ammar Qaddafi] as well as to the Libyan people” (L’Aube (Bamako), March 3).